Life of Brian Slots - 5 reels and 30 pay lines and a progressive jackpot! Mobile Bingo Bonuses know that the best thing to do when life gets you down is ‘Always look on the bright side of life’. So when it comes to the Monty Python comedy, The Life of Brian we know you’ll be delighted to hear that there’s a new slot game available. The world’s largest software providers, Playtech have released the Life of Brian slots game which is not only a homage to the film but hilarious to play. What is Life of Brian Slots? The movies beloved characters are all shown including Brian himself, his mum Mandy, the centurions and of course an alien or two. 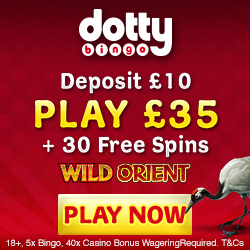 With high quality graphics and clips from the film, the slot has 5 reels and 30 pay lines with a number of wild symbols and a progressive jackpot to make even Biggus Dickus smile. 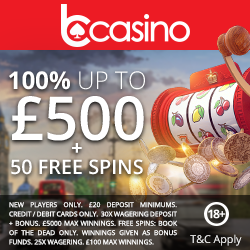 With spins as cheap as 30p and up to £300, plus as RTP (return to player) of 94% we’re sure you won’t need to haggle with an ex-leper to win big! Each spin has a chance of triggering one of the four bonus games, each with their own special prize making this a game with a higher percentage of payouts; something we’ve come to expect from Playtech. 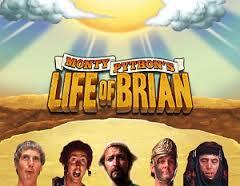 The symbols on the reels vary including the normal playing card icons and the famous Life of Brian characters. There is a bonus symbol available on reels one, three and five plus a scatter symbol which will trigger a spin bonus round. The Life of Brian wild symbols can appear during one of the bonus games and the symbols can expand and lock into place on the reels for added excitement. Winning on the Life of Brian Slots game can be a life changing experience due to the huge progressive jackpots available. How do you know you’ve won? Well the foot of God will let you know. If you fancy playing this great game on a high quality casino then how about CasinoEuro, Europe’s biggest online casino which prides itself on the large amount of gaming options available to their players. When you register with CasinoEuro you can claim your welcome package which is split over the first 3 deposits and is broken down as follows. – 3rd deposit 50% cash match bonus up to €50. CasinoEuro accept the usual banking methods including Credit and Debit cards, NETeller, Paysafe Card, Skrill and Entropay. 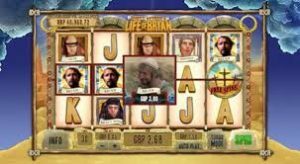 So if you’re ready to play Life of Brian Slots then we’ll take you through to CasinoEuro; good luck and enjoy.